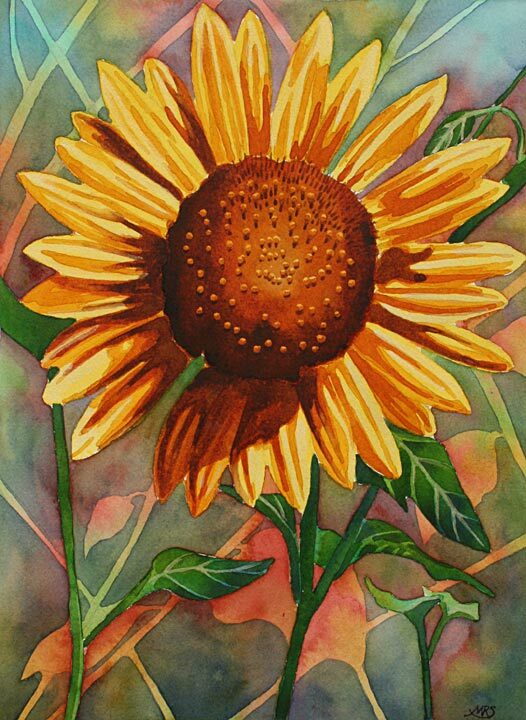 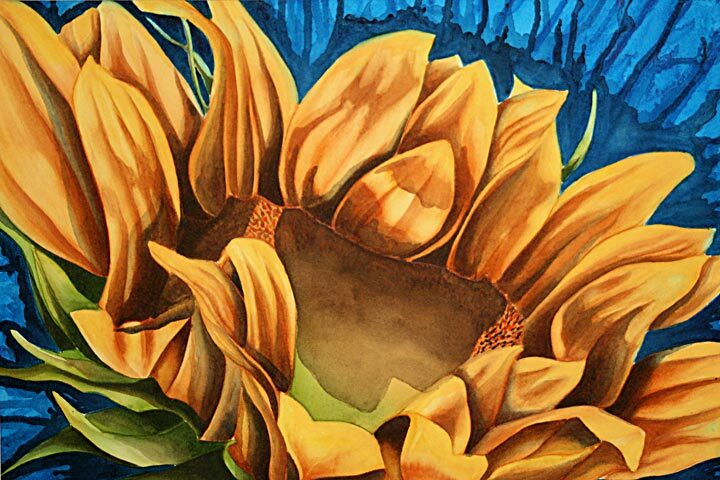 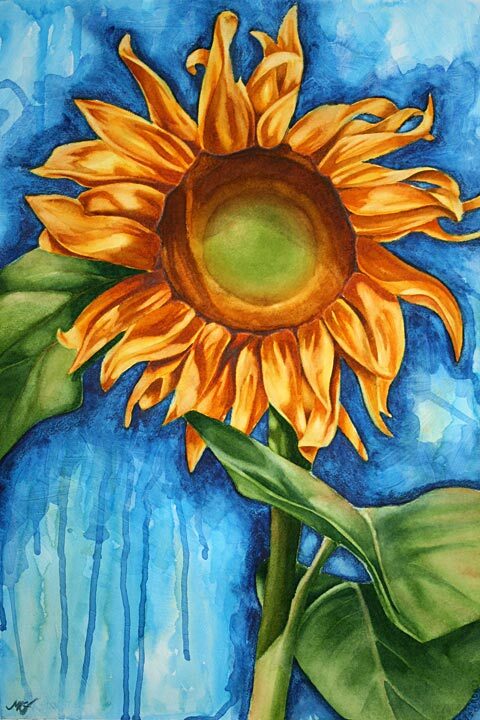 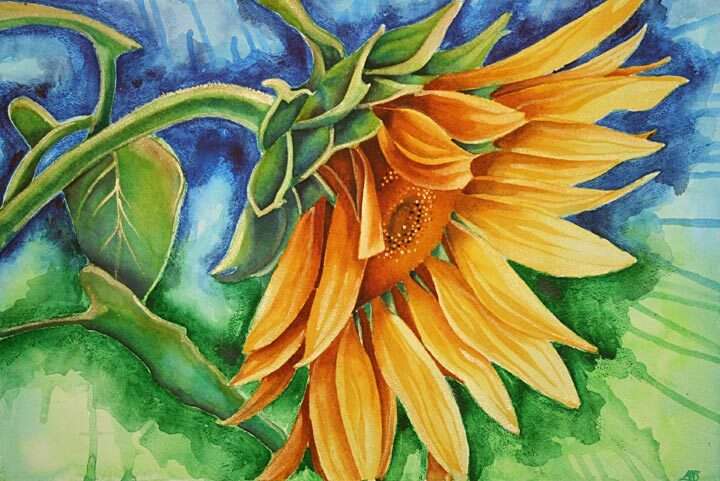 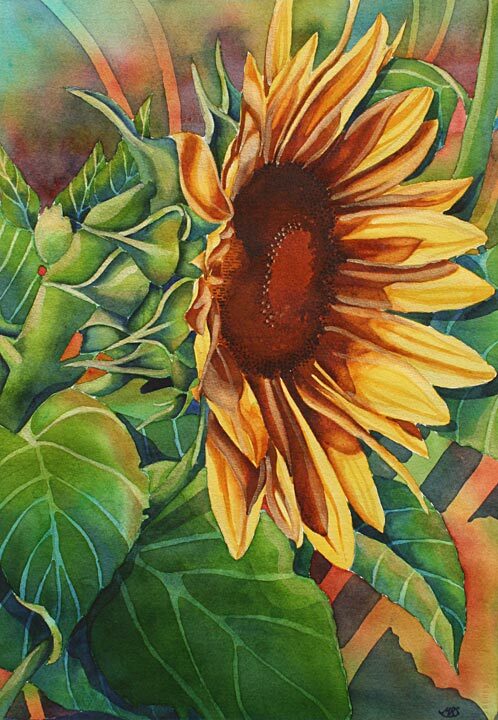 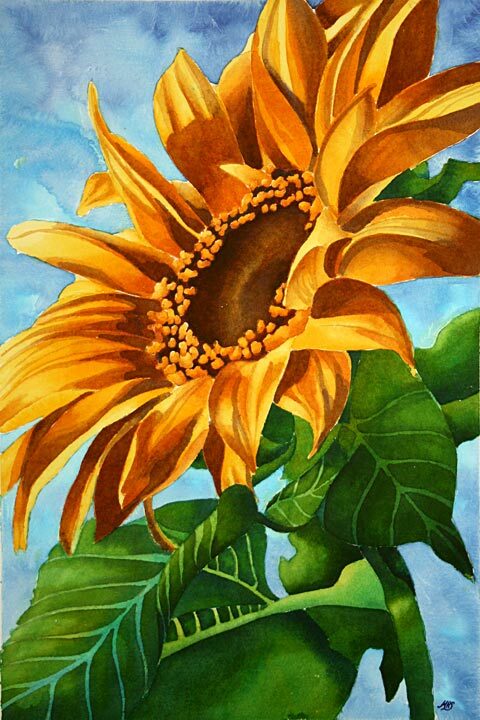 My watercolor sunflower painting series is very near and dear to my heart. 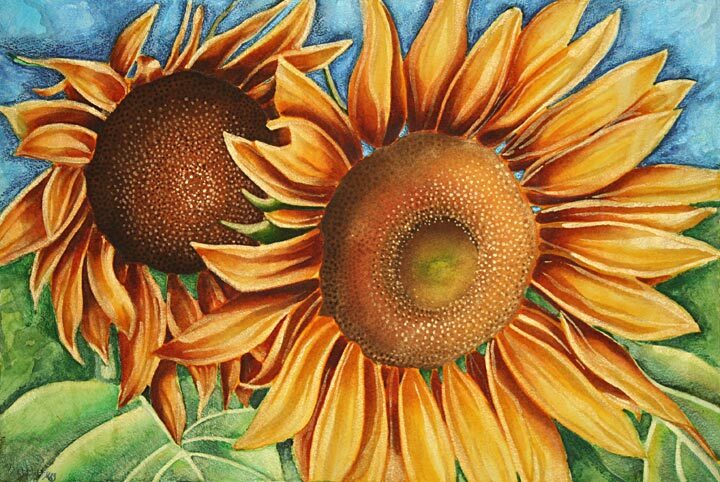 My close family and longtime friends know and understand that sunflowers are part of my soul and signature. 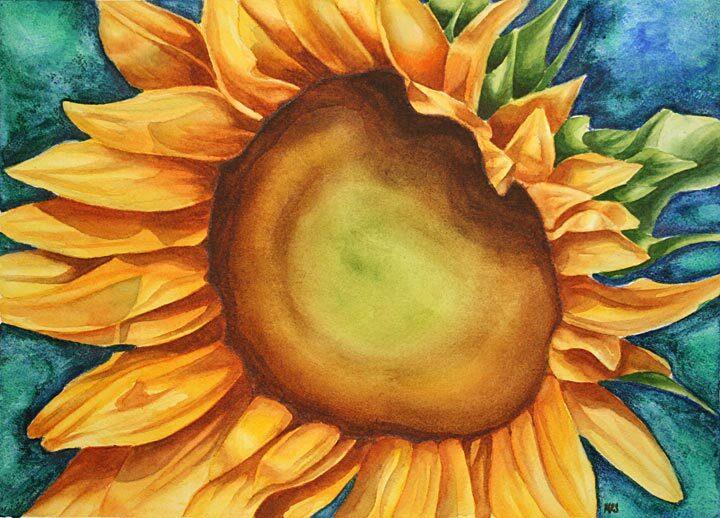 They have always been a primary or subtle subject in my. 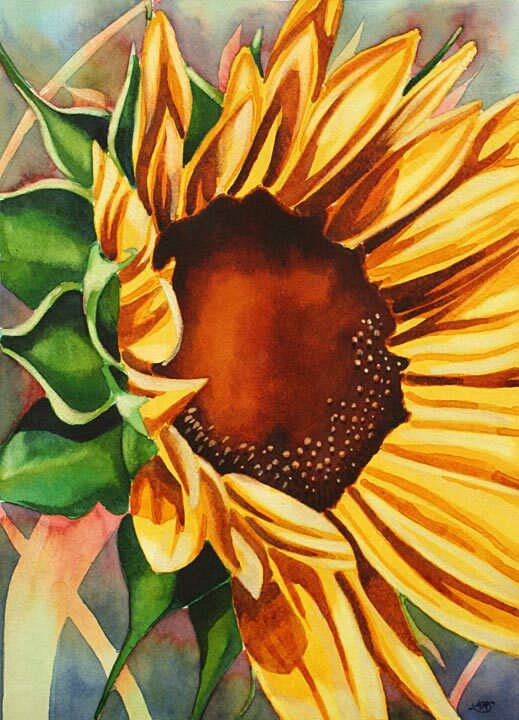 When I transferred from Illustration board to 140# Arches cold press paper, it was inevitable that the “IF I HAD ONE FLOWER IN MY GARDEN: SUNFLOWER SERIES” would cultivate. 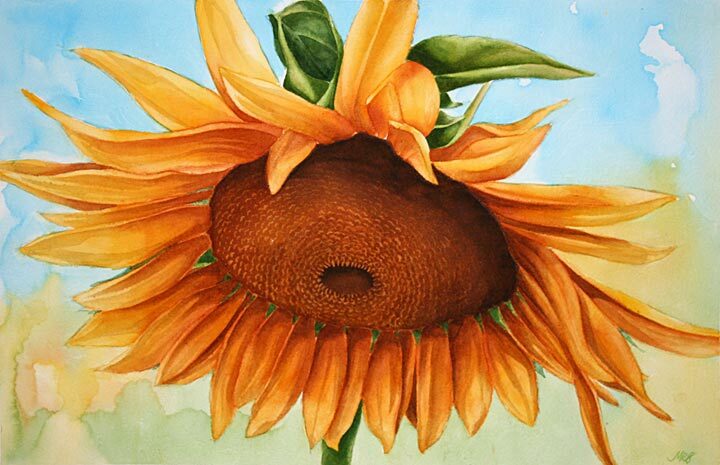 The overall concept of the series was to show the human condition and emotional growth process into maturity. 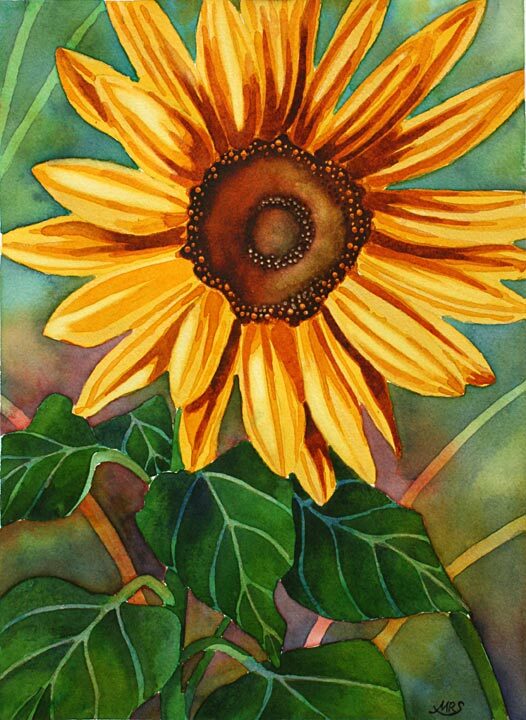 I chose a sunflower because there is something unique about the way they grow, flow with the weather and take on a charming human characteristic.